Korean beauty is ten steps ahead of the rest of the world. The K-beauty space is fueled by innovation, creativity, an eye for incorporating natural and unique ingredients, and is taking the makeup universe by storm. The popular “10-step Korean Beauty Regiment” is a cult hit - consumers are lathering their faces with toners, serums, lotions, oils, and masks, all in the name of smoother, brighter, skin. The Korean beauty and skin care brands have been competing with high-end Western brands for years and have often come out on top. Why are Korean Beauty Products so Popular? Simply because of their use of highly innovative ingredients that the West has yet to fully utilize. 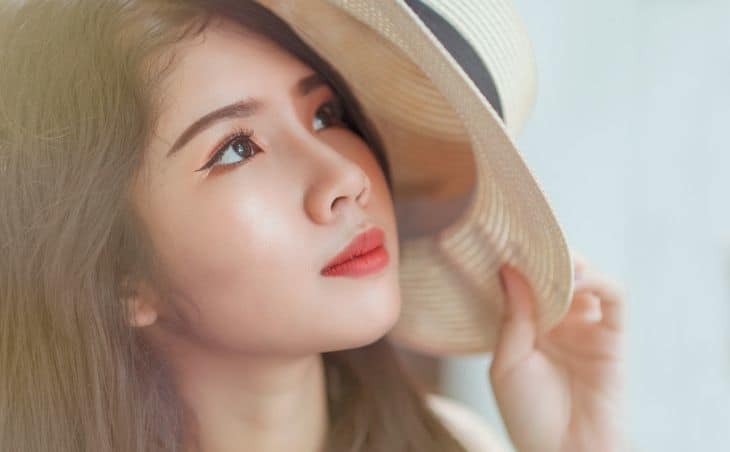 Korean beauty tends to be very heavily influenced by Asian traditions of only putting the best, quality, naturally sourced ingredients on one’s face. From traditions of using rose petals as lip pigments, you can expect no less. Korean brands are at the forefront for eye creams especially. By using unique ingredients, they place themselves as major players in the skin care market segment. They incorporate natural proteins, honey, vitamins and minerals, and concoct luxurious gels and serums that don’t break your budget or your wallet. Here are some of the best Korean eye creams that will be sure to give you the glowing, radiant skin, you so crave! 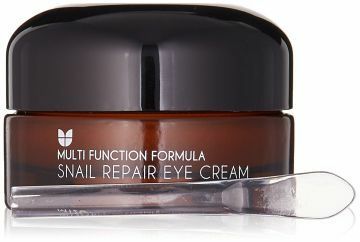 ​​​​​As the name suggests this unique eye repair cream from Mizon contains “mucin” the mucus filtrate of a real snail! It is packed with a host of powerful ingredients to fight fine lines and dark circles around the eyes. EGF component improves skin elasticity and skin is moisturized with ingredients like seed oil, Japonica juice and even hyaluronic acid! Hyaluronic acid is an ingredient that is now becoming more and more popular in anti-aging skin care. 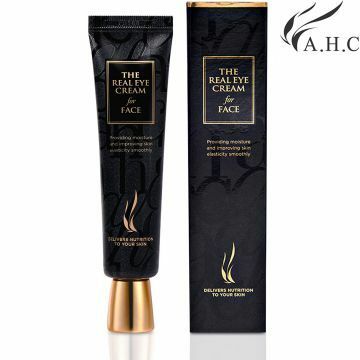 This eye cream is marketed as “The Real Eye Cream for Face” because according to the brand, this is a premium eye cream that works so well that it can also be used all over the face as well as on the neck. The cream promotes tighter, softer, more youthful skin. A.H.C. promotes hydration, lifting, firming, brightening, moisturizing, tightening, absorption, and smoothing of the skin. It removes puffiness often associated with aged eye bag ares and is safe enough to use, causing no irritation, burning, or skin damage. A major ingredient in this product is retinol - another ingredient in skin care products that is taking the world by storm. Retinol is a derivative of vitamin A and it enhances collagen production, and evens our pigmentation. A.H.C. contains 14 peptides (a group of naturally occurring amino acids), 15% Natural Moisturizing Factor (which provides protection from surface hydration loss), rice extract, snail mucus filtrate and bifidobacteriaceae - a probiotic to help the natural flora of the skin. AHC is suitable for men, women, and teenagers, the product works efficiently for all skin types. The cream is not sticky, heavy and it blends with ease. This product unfortunately is not a permanent solution to eye bags, and wrinkles. Consumers rave about the cream but suggest that it is more of a spot treatment as opposed to a fix all solution to eye are woes. With this eyecream, this company is jumping on the honey bandwagon. 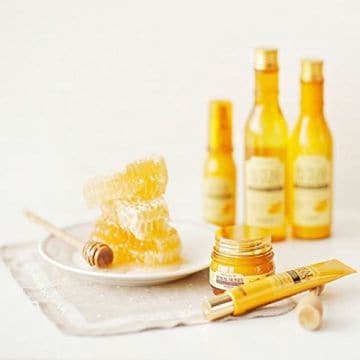 Honey has been known to be a fantastic anti-inflammatory ingredient in both health and beauty spheres but there has been a recent surge in honey related skin care products, from masks to exfoliators. The Skinfood eye cream is an anti-aging moisturizer that promotes a honey kissed glow around the eyes. One major pro with this product is that they don’t just use food grade honey, this honey in particular is 60 day old fermented honey that has been left in the beehive. This allows the honey to have a lower moisture content and higher vitamin and mineral content. It helps with fine lines, dry patches, and is quick to absorb. Skinfood has also been one of the top K-Beauty Brands for skin care in Korea for years. Many customers however, rave that this is more of a preventative product for people in their twenties, as it does not do much for wrinkles or discoloration but does moisturize a great deal. Innisfree is one of the most popular and widely used K-beauty brands in the world to date. This meticulous eye cream’s active ingredient comes from Jeju orchid which has been researched extensively over the past few years and has been found to survive snow. Jeju orchid has a remarkable vitality in that it can grow in the snow. The orchid in the cream works to nourish tired skin, and helps bring out more radiant, youthful skin. 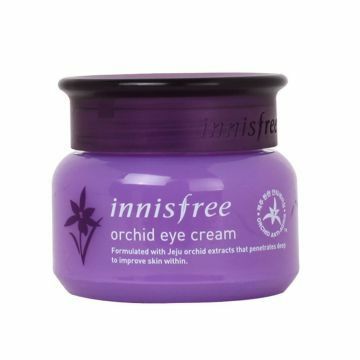 Innisfree cream, because of its antioxidant ingredients, offers immense smoothness and hydration to skin. The antioxidants will give your skin a heap of neutralizing agents that will reverse the damage done by the sun, pollution, and other free radicals in the air. Again, this is a preventative cream as opposed to a remover cream. 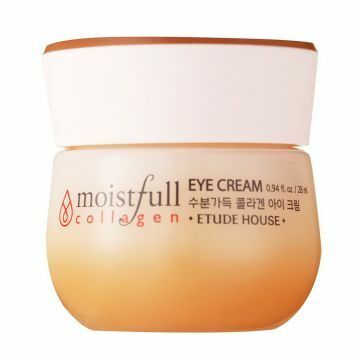 It is great for moisturizing the eye areas and preventing deep set lines. Etude house is another huge company in the K-beauty space. The cream has tiny particles of super collaged water and Baobab oil. This oil comes from the Baobab tree which is native to deserts and hence, it is a master water retainer! These two work together to provide rejuvenation, radiance, and smoother skin. Etude house collagen cream has a firming texture that will stay on the skin, but absorb the moisture completely, helping to plump skin. It is best used before your heavier night face creams and after toner. This easy to use cream is perfect if you’re looking to reduce the appearance of fine lines and wrinkles in the areas surrounding your eyes. This cream encourages elasticity and moisturized skin. Many of the ingredients are naturally sourced, from natural ingredients such as cacao, raspberry, orris root, mango seed and olive oil. It also contains one of the hottest things in skin care since forever - hyaluronic acid. The cream itself is hypoallergenic, free of parabens and contains adenosine - a naturally occurring protein found in our own DNA. This promotes skin radiance. The only downside is that if you have extremely dry skin, this gel may not have enough moisture for you, as some customers say that for older, dryer skin, it is isn’t moisturizing enough. Buying a Korean beauty cream can be tricky as they don’t usually come with a good translation of the Korean ingredients used and the product features. Korean products are well known for using unique ingredients in their products. Look out for special elements in additional to standard chemicals. For some users these can cause allergy or irritation. Natural extracts like snail mucus filtrate, lotus flower, green tea, rice, Meadowfoam, Jojoba, Japonica etc. can be found in most Korean creams. Each one of them has special properties which can reduce fine lines and get a glowing under eye complexion. Hyaluronic Acid – Also known as Sodium Hyaluronate, is a powerful hydrating agent that lock in moisture to keep the skin plump and hydrated. It also boosts collagen production to fight signs of aging. Ceramides- Ceramides are lipid molecules found in your skin membrane. They hold the skin together to prevent moisture loss and plump the skin under eyes. Collagen is a protein that gives strength and elasticity to your skin and also aid in skin repair. As we age the collagen production slows down, making the skin lose its firmness and elasticity. Boosting collagen production is therefore vital to restore skin’s youthful radiance. Retinol – Retinol is a type of vitamin A that absorbs easily into the skin to reduce the appearance of fine lines and wrinkles. It soothes inflammation, removes dead skin cells even out dark circles and make the skin smoother. This is definitely not an extensive list of all the best Korean-Beauty and skincare brands/ranges. The fact is, K-beauty and K-skin care is expanding at such a fast and successful rate that the number of creams and serums on the market is growing just as quickly as their fan base is. The Mizon Snail repair cream is our top pick for the best Korean eye cream on this list. The AHC eye cream is also a good choice for those who hate the idea of applying snail extract. 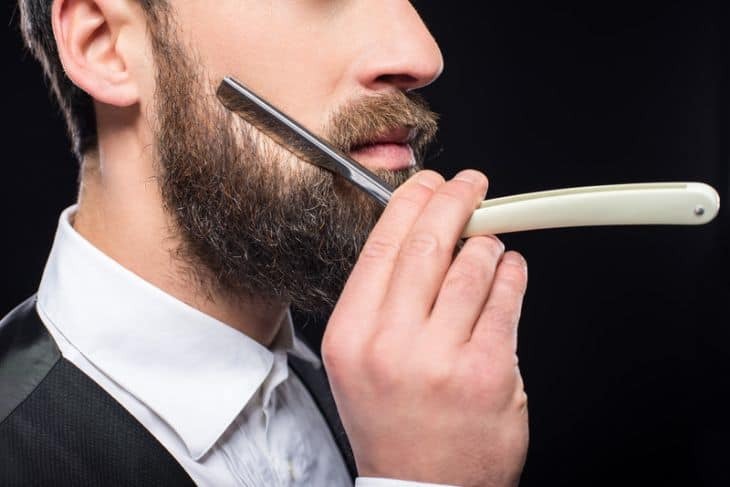 We hope this list provides some popular brands and their pros and cons so that you can try some K-brands yourself and experience the difference naturally sourced products can make for your skin. Great breakdown and reviews! I know it sounds disgusting but I did use snail products before and they are out of this world. You skin becomes more youthful and actually less prone to those wrinkles you wake up with if you are tummy sleeper like me. I am going to give the Mizon Snail Repair Eye Cream a go. I have been looking for a new eye cream since the one I loved was discontinued.